THIRTY-THREE AND A third, forty-five, and extended-play are names that have become more and more relevant in the past decade. Collecting vinyl is now part of every music fan’s psyche. It’s refreshing to witness people of all ages adding record albums, 45rpms with picture sleeves and imported EPs to their musical libraries. Some are just discovering The British Invasion, punk, alternative and jazz for the first time, while others from The Baby Boom generation are looking to upgrade their worn out copies of Meet The Beatles, Kind of Blue or The Song Remains The Same. On Saturday, March 9, I made my weekend pilgrimage to Double Decker Records on 808 Saint John Street in Allentown PA. For 23 years and counting, the Lehigh Valley’s finest record shop has satisfied thousands of patrons from all over the globe who may be searching for that rare, valuable copy of Pink Floyd’s The Piper At The Gates of Dawn in mono or stereo on the original Tower label, as well as those who are seeking out a Yesterday and Today First-State Butcher Cover. 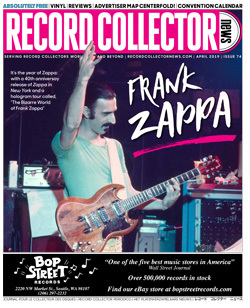 Whether one is a connoisseur or just starting to enjoy the record collecting hobby, Double Decker is the place to be. They have a multitude of LPs, 45s and picture discs to choose from. There’s something for everyone here. 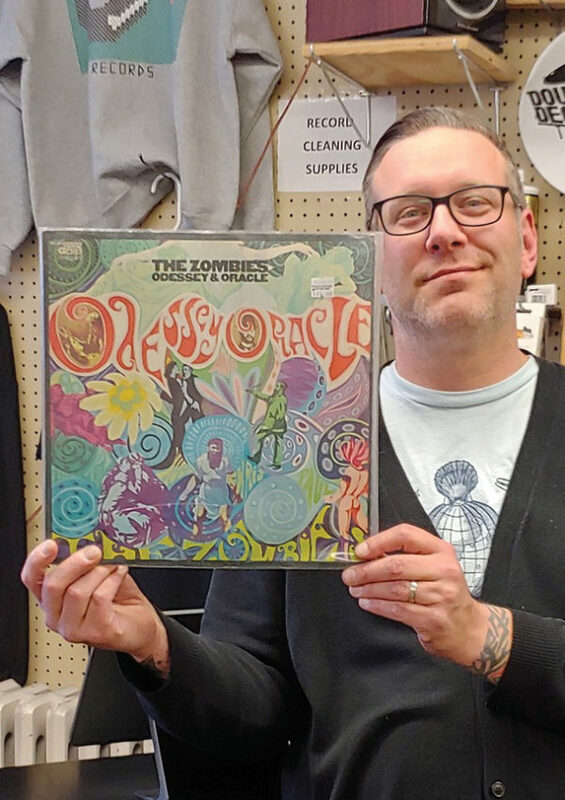 Over the past few years, owner Jamie Holmes and fellow employee Chris Bickert have remodeled the shop which now contains more bins of LPs priced from $1–$3 and a section of 45s priced from $2 and up. Jamie and Chris are more than happy to assist customers with their want lists and are updating their “New Arrivals” LP and 45 categories daily. Being a huge fan of 45s, especially the flip-sides, I always browse the singles section before making my way to the new arrival LP bins. I was delighted to find mono/stereo promos of The Rascals’ “Brother Tree” “Little Willy” by The Sweet, a “For Jukeboxes Only” press of The Proclaimers “(I’m Gonna Be) 500 Miles” on green vinyl and a stereo promo of “I Got You” by Badfinger. Double Decker Records gets many rarities coming through its doors. Some include an original U.S. copy of The Zombies Odyssey and Oracle on Date Records (according to employee Chris Bickert it’s the rarest record to come in to date), The Capitol Records documentary LP LSD in mono TAO 2574 and a Mobile Fidelity version of The Moody Blues Days of Future Passed. Saturdays are the busiest at Double Decker (one would think every Saturday was Record Store Day). Customers flooded the rock, pop, indie, rap/hip hop, Mobile Fidelity and Beatles sections. One customer hand a handful of Beatles records and singles including an original stereo press of Revolver, Abbey Road, an interview picture disc and various Beatles singles, while others found various jazz compilations, an original 1968 Planet of The Apes soundtrack and a first-press of The Yardbirds’ For Your Love in stereo. I asked Jamie what the rarest records were that came in to Double Decker over the last week. “Over the last few weeks some people brought in a nice collection of sealed, original late ‘70s/early ‘80s funk, soul, disco, R&B, a bunch of Mobile Fidelity (pressings) including The Beatles, David Bowie, Marvin Gaye. Lately we’re getting more customers of the Baby-Boomer generation, ages mid 40s to 70s. We still get high school kids, even younger who come in and shop. It’s definitely changed. We used to get a much younger crowd. Some of our eldest regulars are in their 80s. 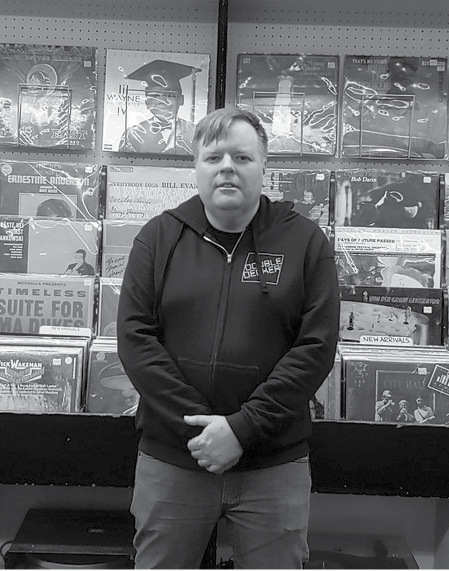 “There’s a jazz collector who still comes in here searching for everything in the genre on Columbia Records and has 30,000 records in his basement. Being a customer for 13 years, I have always been satisfied with the quality of product at Double Decker Records. The condition of records is the primary concern with Jamie. “I’m a little condition critical, sometimes. It’s a good thing, but sometimes a little too much. I’m starting to ease off a little bit, because (if a record has) a little hairline scratch on it, I would put it in the 50 cents room (author’s note: there are some hidden gems in that section as well). It would still be a fine record. I’m learning not to cut myself so short on everything. 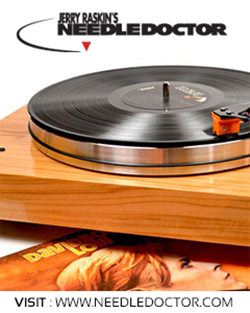 Double Decker Records also sells turntables and receivers, 45-rpm adapters, record cleaning accessories, 12-inch poly sleeve covers, paper inner sleeves for both 12-inch and 45, as well as Double Decker hoodies, T-shirts and much more. 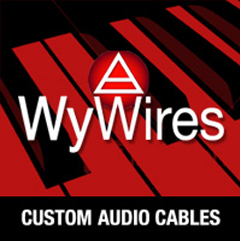 Contact Jamie Holmes and Chris Bickert at 610-439-3600 to set up an appointment if you’re interested in trading or selling your collection of vinyl.